Brenton Mauriello, President Elect; "The end of the year is fast approaching and we remain as busy as ever at the Chamber. In this month’s issue we celebrate and acknowledge the recipients of the 2015 Australian Alumni Awards and are pleased to share personal stories from two of the winners about their experiences of living and studying in Australia. As part of the Interesting Reads section we highlight a new publication from Asialink Business – the “Thailand Country Starter Pack”, which aims to assist Australian businesses with the practicalities of doing business in Thailand. 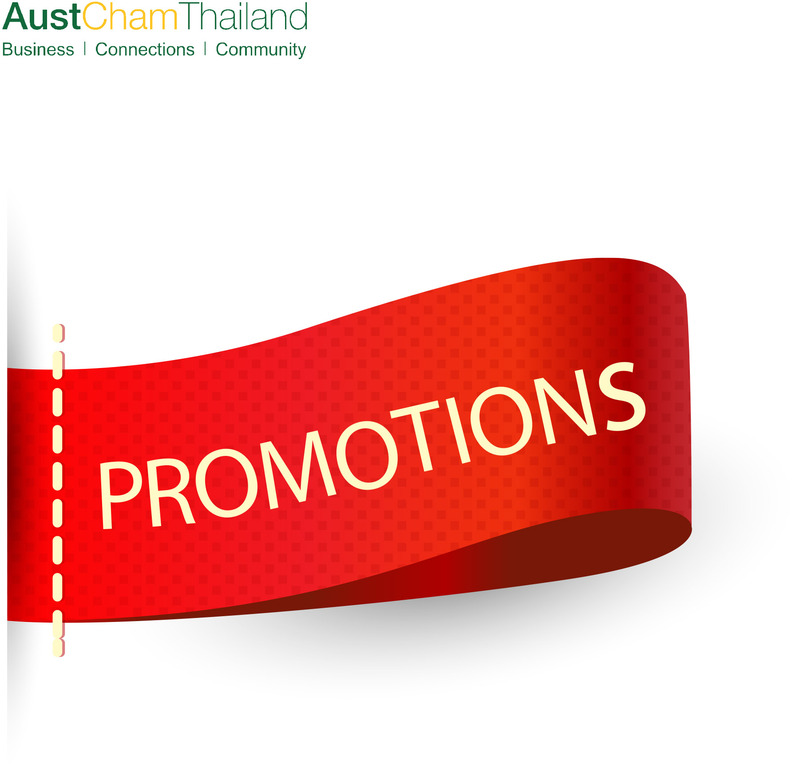 We encourage members to visit the new “Interesting Reads” page on the Chamber’s website where we have listed a number of publications that aim to assist you with your business endeavours in Thailand. We would also like to draw your attention to the Australian Government’s invitation to the private sector to work with them on addressing social and economic development challenges in our region. Josh Hyland has provided a summary of significant policy and program changes that may be of interest to AustCham members. September saw a new sub-committee structure adopted by the AustCham Board of Directors. The structure involves Board members taking on active roles across various portfolio areas and seeks to reinvigorate and progress AustCham priorities, align our outcomes with member needs and most importantly engage our members as active participants on the committees where ever possible. Members were also invited to complete the 2015 AustCham CSR survey, which sought to assist AustCham in better understanding member CSR activities, something the Australian Embassy has also shown an interest in. The results of the survey are being compiled and the CSR Sub-Committee will report back in a future eAdvance. Thank you to all who took the time to complete the survey. On a final note, it has been a busy year for AustCham where we have to date delivered more than 35 events for over 3000 participants. We have received very positive feedback from attendees, which is testament to the professionalism of AustCham office staff who work diligently and tirelessly behind the scenes to ensure all of our events are of the highest calibre. I am sure you will join me in commending AustCham staff for their efforts. " The Australian government recently published a new guide for Australian businesses entitled Why ASEAN and why now? It is a comprehensive and practical guide that all Australian businesses with aspirations to doing business in ASEAN should read. Austcham, together with the Australian Embassy in Bangkok, invites you to hear from 3 speakers, each with valuable insight into the ASEAN business opportunity, at a briefing immediately prior to Sundowners on Wednesday 4th November at 5pm. AustCham Thailand is delighted to invite members and guests to mingle and exchange views at November Sundowners – AustCham Thailand's monthly business networking function. In the month of the Loy Krathong festival the event will be held at amBar - Four Points by Sheraton, located in the heart of Sukhumvit and only a 5-minute walk from the subway or SkyTrain near Terminal 21. The Tourism Authority of Thailand recently appointed Khun Yuthasak Supasorn as its new governor. Khun Yuthasak, 49, replaces Khun Thawatchai Arunyik who recently completed his term of office. He was previously the Executive Vice President and Chief Financial Officer of Thailand’s MCOT Public Company Limited (MCOT), and is the first Governor to TAT to be appointed from out of the Industry. The latest and coolest gadgets will be on display at a multi-chamber social networking night organized by AMCHAM and with the participation of the British, Australian, New Zealand and Canadian chambers. Some of these devices will be shown for the first time in Thailand! Market research conducted by Asialink Business found that there were gaps in information available to businesses looking to engage with Asia. As a result, a series of Country Starter Packs have been developed to provide Australian businesses with the information they need to confidently enter their desired market. Over the past couple of months I have spoken about the drivers of volatility in Global share markets and our view that we should continue to expect higher volatility and more modest gains than have been achieved over the past three years. The Trans-Pacific Partnership Agreement (TPP) is one possible pathway toward realising the vision of a free trade area of the Asia-Pacific. The Asia-Pacific region is a key driver of global economic growth; close to half of all global trade, and around 70 per cent of Australia's trade flows through the region. Foreign residents are again being targeted in proposed changes to the Capital Gains Tax (CGT) rules. This follows on from previous measures that saw the removal of certain tax benefits for foreign residents (such as the removal of the 50% CGT discount on capital gains accrued after 8 May 2012). The Australian Government's South East Asia regional development program has recently seen a number of significant changes that may be of interest to AustCham members. The Thai Chamber of Commerce plans to drive the nation to tackle the challenges of global economics and to encourage Thailand to develop greater national trade across the ASEAN region. Earlier this year AustCham hosted the annual Australian Alumni Awards Gala Dinner with the support of the Australian Embassy, Bangkok. This prestigious event provides an opportunity to recognise and celebrate the achievements of Alumni whose endeavours reflect the best of Australian education. AustCham would like to congratulate the 2015 Australian Alumni Award Winners. Over the past months, recent Bond University Media/Business graduate Mr. Ben Thangkam has worked closely with the Thai-Australian Association of Queensland Inc. and his network in Thailand to assist and facilitate the city’s largest Thai cultural event, the Brisbane Thai Festival. Managing risk is an integral part of everyday life, but as with most areas of business, security risk management and crisis management are complex fields that can overwhelm a business if not managed appropriately. Jason Morris, Manager Asia at Intelligent Risks (IR) Group discusses risk mitigation and management strategies for businesses operating in the region. New Member - Smile Republic Co., Ltd.
Bangkok Smile Dental Group (BSDG) is one of the biggest dental chains in Thailand. We have been providing a full range of high quality dental services under International standard since 2003 by a team of well-experienced and skilled dentists and dental specialists. We use the state-of-the-art technologies such as the computerized 3D Cone Beam, Digital X-rays and 3D CAD-CAM Digital System in our general as well as specialty practices. Realizing childhood dreams is something we all strive to attain and assisting our youth to achieve these dreams, is the social responsibility of all members of society. In order to develop our society and strengthen Thailand, the educational development of our youth must be a key priority and will undoubtedly aid in the sustainable development and stability of the country. This year’s event will support ICare Thailand, "GIFT OF HAPPINESS" and Sister Joan. The money raised will be used to buy toys and games, that will be given to children in hospitals at Christmas time.We will be supporting about 450 children with medical supplies, clothes, food and sporting goods throughout Thailand.